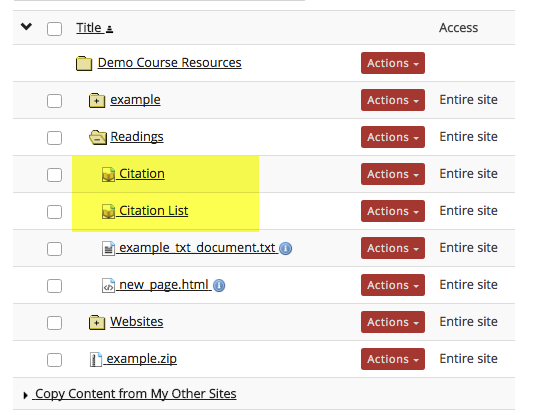 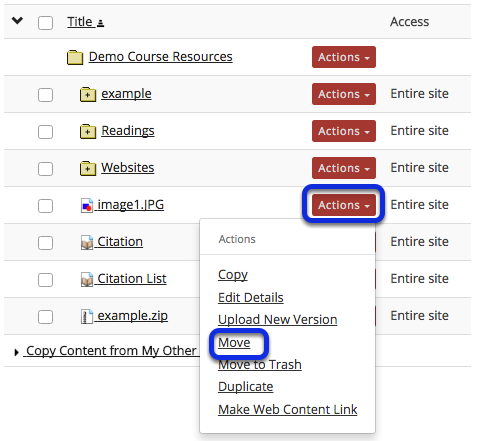 Instructor User Guide ResourcesHow do I move a file or folder within Resources in the same site? 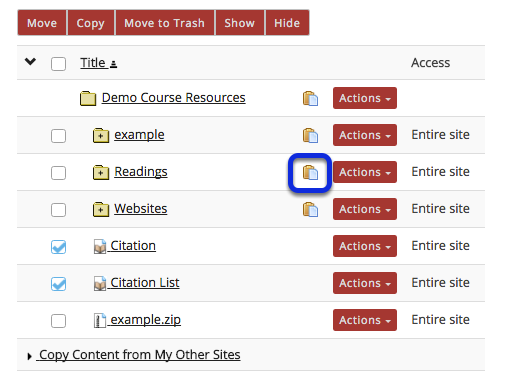 To the right of the folder you want to move the file or folder to, click the clipboard icon (paste moved items here). 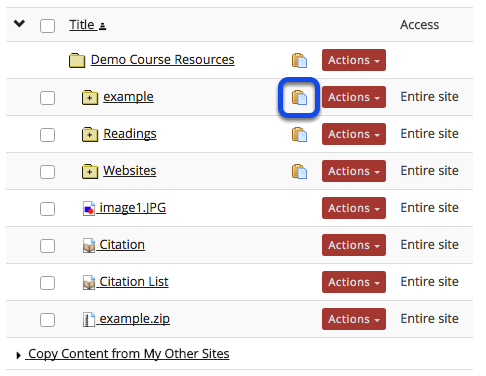 This returns the display to the Resources page with the file or folder now moved to the new folder. 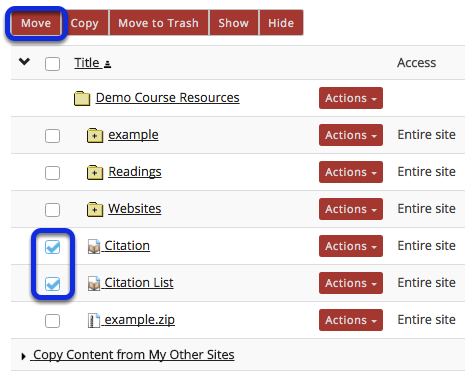 Method 2: Select multiple items, then click Move. 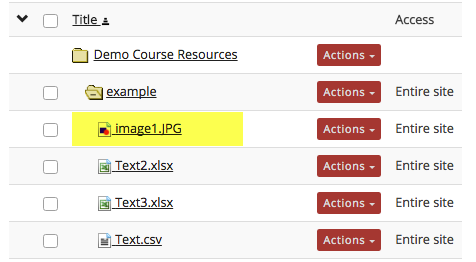 This returns the display to the Resources page with the files or folders now moved to the new folder.